Karl Stefanovic and Jasmine Yarbrough marriage "strained" after 2 weeks. It took just 15 days for rumours about Karl Stefanovic's 'strained' marriage to begin. Exactly 15 days ago, Karl Stefanovic and Jasmine Yarbrough said ‘I do’ at a lavish ceremony in Mexico’s San Jòse del Cabo. Today, rumours suggested their honeymoon phase is “over”. Speaking to the Women’s Day, an “industry insider” shared a rather negative outlook on the couple’s new marriage. “The honeymoon is well and truly over now – although it barely even began,” they said. “When Karl and Jasmine first got together, he was the biggest name on Australian TV. But now that’s no longer the case, and it’s possible that could change the dynamics. While this seems to based on nothing very little, it’s fair to say that Stefanovic is not having a good week. On Wednesday, Channel 9 finally confirmed the 44-year-old would be leaving Today after months of speculation. According to the Sydney Morning Herald, the “final straw” was Karl and Jasmine Yarbrough’s extravagant wedding in Mexico, which forever changed his reputation from ‘relatable family man’ to something no longer aligned with Today’s “suburban audience”. “Nine looked at the coverage of Karl’s wedding in horror,” they said. The very wicked @georgiegardner9 is cooking up some wax and an axe for Monday’s show. I’m starting to Schvitz. That being said, after #ubergate and his very public fall out with his ex-wife Cassandra Thorburn, surely the silver-lining of 2018 is that Karl and Jasmine are very adept at handling media fall outs – and ignoring ridiculous rumours. With Karl set to continue his hosting duties for This Time Next Year, due to record in February 2019, as Kelly Clarkson once sang, ‘whatever doesn’t kill you, makes you stronger’. 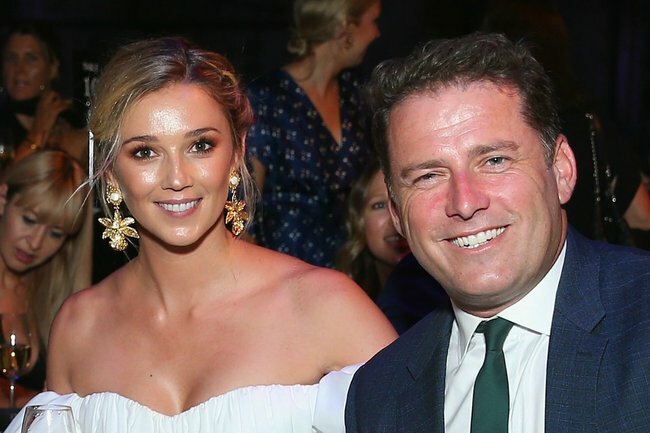 What do you think of the latest rumours surrounding Karl Stefanovic and Jasmine Yarbrough’s marriage? Tell us in a comment below.